Bayern Munich host Bayer Leverkusen at the Allianz Arena on Saturday in a Bundesliga match in which the reigning champions will be looking to pick up where they left off before the international break. Niko Kovac has seen his new side make a fine start to the campaign, winning each of their first two games in comfortable style. They take on a Bayer Leverkusen side who have endured a very different start to their campaign, with two defeats in each of their opening matches. The likes of Robert Lewandowski and Thomas Muller have already hit the ground running once more this season with two goals in two games for each of the star forwards. Against a Leverkusen side which has struggled at both ends of the pitch so far this season, Bayern will fancy their chances of making it three wins from three against Leverkusen on Saturday, with Kovac’s side looking to solidify their place at the top of the table early in the season. With that in mind, Bayern’s side is likely to be one of clear attacking intent. Manuel Neuer (GK) – After missing a large part of the previous Bundesliga campaign through injury and enduring a disappointing World Cup with Germany, iconic goalkeeper Neuer has firmly re-established himself as a crucial figure in Bayern’s setup this season. Joshua Kimmich (RB) – The apparent to the great Philipp Lahm, Joshua Kimmich has made a similarly seamless transition between central midfield and right back as performed by his legendary predecessor, making the right hand side of Bayern’s defence his own. Jerome Boateng (CB) – Despite being seemingly on the verge of a big money move to PSG during the summer, Boateng remains an integral player for Bayern, having started each of his side’s first two games of the season. Mats Hummels (CB) – Niko Kovac has made some rotational changes so far this season, with Niklas Sule having started alongside Boateng in the opening game against Hoffenheim. 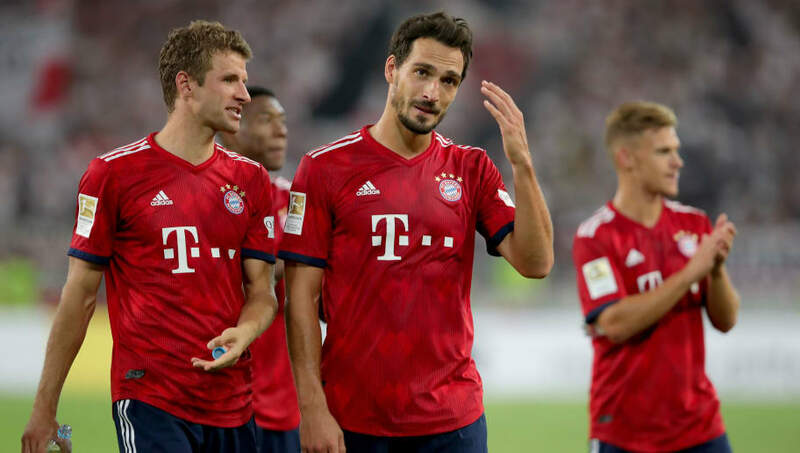 Hummels was restored alongside his usual partner against Stuttgart and the pairing helped their side to keep their first clean sheet of the new Bundesliga season. David Alaba (LB) – A threat going forward and energetic and tenacious in defence, few modern full backs are as complete as Alaba, and the Austrian remains an ever-present for his club. Thiago Alcantara (CDM) – An integral figure for both club and country, Thiago is the maestro for Bayern and thrives on pulling the strings from a deep midfield position at the heart of the action. 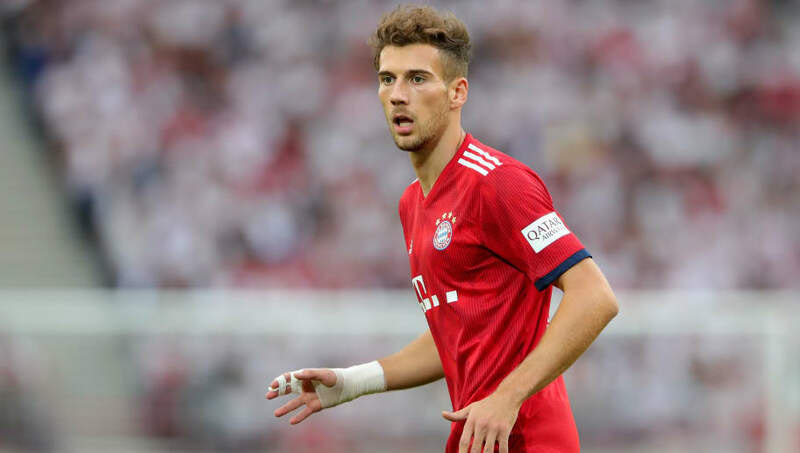 Leon Goretzka (CDM) – With the more defensively solid Javi Martinez picked ahead of Goretzka for the opening game against Hoffenheim, Kovac once again displayed his pragmatism by bringing Goretzka in for his Spanish teammate for the more recent win over Stuttgart. Though Martinez is more defensively sound, Bayern should be looking to play on the front foot against a vulnerable Leverkusen side and Goretzka’s energy and dynamism would be of great use. Arjen Robben (RM) – Though Niko Kovac has brought a new era to Bayern, Arjen Robben remains a regular for the Bavarians and few can match the Dutchman’s attacking threat and natural width in the modern game. Thomas Muller (CAM) – Having scored two in each of Bayern’s first two games this season, Muller is proving as reliable as ever in front of goal and remains an all-round threat with his work rate and movement playing in behind the main striker. Franck Ribery (LM) – Like Robben, Ribery remains as one of Bayern’s old guard and is still as useful as ever in cutting inside from the left flank in trademark fashion and creating havoc down the flank. The Frenchman signed a new contract at the end of last season and will look to continue to prove his worth this season. Robert Lewandowski (ST) – An imperious and imposing force in attack, Lewandowski’s reputation as one of Europe’s most fearsome front men shows no signs of waning, with the Pole already boasting two goals from Bayern’s first two games of the season. 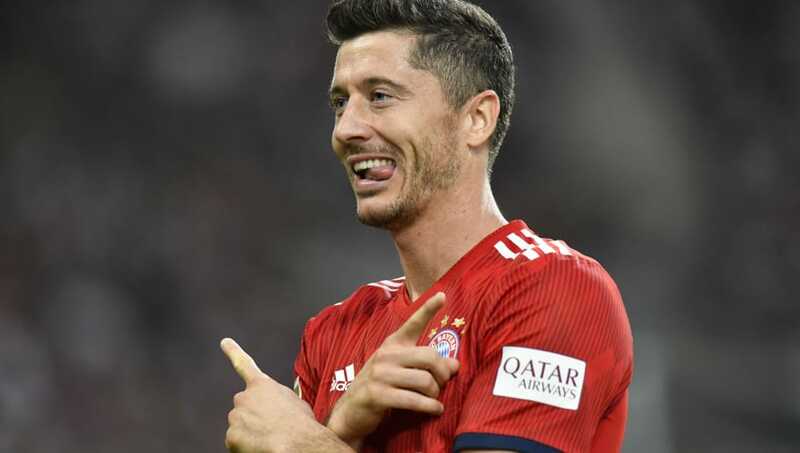 A blistering hat-trick in the 5-0 DFL-Supercup victory over Eintracht Frankfurt at the start of the season was further evidence of Lewandowski’s devastating abilities in front of goal.